Featured on HGTV Show "Ground Breakers"
We are Atlanta's largest & most respected mosquito control experts in the Southeast! I grew up in the Atlanta area and understand how hungry the Mosquitoes are and the benefits of being able to entertain in your outdoor space without the uninvited MOSQUITO. Mosquitoes have gotten worse in our area over the years, making it more challenging. We’re here to help. We are dedicated to the effective control of mosquitoes and other stinging, biting and flying insects, providing our clients with industry best solutions to this irritating problems. Mosquitoes are pesky, but they shouldn’t hold you prisoner in your own home, with Tuxedo Mosquito Control’s automated misting system, we can help make your yard a safe place to relax again. Programmed to dispense fine sprays of fast-acting, botanical insecticide around the perimeter of your yard, our system essentially creates a shield around your yard, killing any mosquito that comes your way. Also, we specialize in the control of the mosquito known to carry the Zike virus. Very happy, but please don’t put signs in my yard without asking. I just removed your sign. I prefer no signage please. Great customer service! Product works great, and I feel good that it’s a healthy and cruelty free alternative to harsh chemicals. Always given notification to confirm visit and notification prior so I can make sure my dog is in, I’ve had trouble w this before w other companies so it’s a nice piece of mind. The System works great and keeping us mosquito free even during the largest mosquito season. We are very pleased with your service and follow-up. I am very happy and will continue using your services. Excellent Service! Professional installation and enjoyed the system last year! Always ready to meet your needs and answer your questions. Marc, I am happy that you are pleased so far. I know you were only able to experience a few months and next season will be the first whole season and I am sure you will be just as pleased. If not or you have any questions please call me direct. We have lived in our Morningside home for 30+ years and have always had a problem with mosquitoes. Since we got our automatic misting system from Tuxedo Mosquito in mid 2016, we have been able to enjoy being outdoors in a mosquito free yard! Their state of the art system is truly maintenance free for us, since they schedule regular visits by their experienced technicians to keep our system functioning well. We researched various misting systems and decided that Tuxedo Mosquito had the least toxic product and best designed system available. The owner, David Maddox, is a real professional, and extremely knowledgeable about mosquito control. He designed a state of the art automated misting system using his experience in the computer industry, and developed sophisticated techniques that allow his company to monitor the functioning of this system. We could not be more pleased with our automated mosquito misting system and with the entire staff of Tuxedo Mosquito! I was so excited to see that you took time out of your busy holiday season to give us this great review. I am happy that you'll are happy and enjoying the system and our service. Please call anytime if you need anything or if we can do anything better. Very efficient and prompt about replies and fixing stuff. All employees are nice and polite. Great service & excellent, functioning product. Great customer service and the system works! Great product that gets the job done backed by responsive service. Has really improved our ability to enjoy our outdoor areas. Highly recommended. It seems we have very few mosquitos during the warm season, so, yes, we are happy. David and Ari are always prompt. Return phone calls quickly and get me on the schedule ASAP. Thanks!! Tuxedo has never failed to answer my calls for help with curtesy and promptness. I can always depend on them. Best way to rid your yard of those nasty bugs. 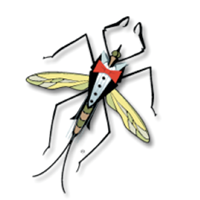 We are totally happy with our experience with Tuxedo Mosquito Control. We are able to enjoy sitting on our deck all season free of mosquitos. Love your service. Everyone is attentive, responsive, and friendly. The service works well for us and we are very happy. You excell at customer service and “de-posting” makes the WHOLE property a pleasure to use! Professional and honest people to work with. Tuxedo Mosquito provides excellent customer service, the are professional and have a product that works!!! Lots of great service and communication is easy. Great service and no mosquitoes. Very happy with NO bugs. And enjoy the outside because of my system. The technicians are always knowledgeable and do a great job. I have been a customer since the early days of the company. During that time I have found them to be prompt, courteous and helpful. Great company, always professional. The best in Georgia. I've been very pleased with Tuxedo. I had been using a different service and was getting bit in my yard. Once I started with Tuxedo a year ago I have not had an issue.